Systemic Lupus Erythematosus (SLE) is a complex disease affecting multiple organs in the body. That is why it is important to stay ahead of possible damage by assessing disease activity and the progression of tissue damage. Abnormal biomarkers – Tracking your biomarker levels over time can help reveal important changes in your disease activity and possible organ involvement, which can be helpful in managing your condition. AVISE SLE Monitor is an advanced blood test that incorporates specialized lupus biomarkers that are not available from other labs to help assess SLE disease activity. AVISE SLE Monitor may help your doctor detect what's going on below the surface with the goal of avoiding or minimizing disease flares. How can AVISE SLE Monitor help me? If you may be at risk for possible kidney damage (lupus nephritis) - It is estimated that 40% of lupus patient will develop some degree of kidney damage, so monitoring for possible organ involvement becomes critical when preventing this type of tissue damage. This added insight might be the clue needed to help your doctor achieve and maintain control over your lupus. How is the AVISE SLE Monitor test different than other tests? A unique lupus biomarker called EC4d, clinically proven to track disease activity better than traditional lupus tests alone. EC4d is a patented lupus biomarker that measures complement activation, a key part of the lupus disease process. EC4d acts like a “fingerprint” left behind by the lupus disease process. A state-of-art testing method to help better assess changes in anti-dsDNA levels. These changes provide additional insights that can guide clinical decisions. PC4d is a patented lupus biomarker significantly associated with history of thrombosis. 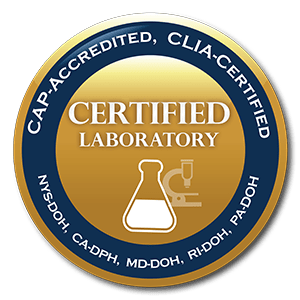 The Anti-C1q biomarker, a unique biomarker test clinically proven to help assess lupus activity and possible kidney damage. In addition: The test also incorporates C3 & C4 testing. When low levels of these proteins are detected in the blood, this could indicate higher lupus disease activity. Is the AVISE SLE Monitor test right for me? Only your physician can determine if the AVISE SLE Monitor test is right for you. This test is ideal for patients who have been diagnosed with lupus who would like to proactively manage their condition. Merrill J, et al. Lupus Science Medicine. 2018. Buyon J, et al. Lupus Science & Medicine. 2016. Data on file. Anti-dsDNA significantly correlates to clinical SELENA - SLEDAI. Exagen,Inc. 2017. Lupus Foundation of America. resources.lupus.org/collections/diagnos­ing-lupus. 2017. If you’re ready to start proactively managing your lupus, don’t wait. 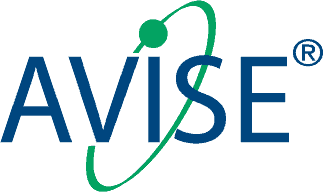 Ask your provider about the AVISE SLE Monitor test today.